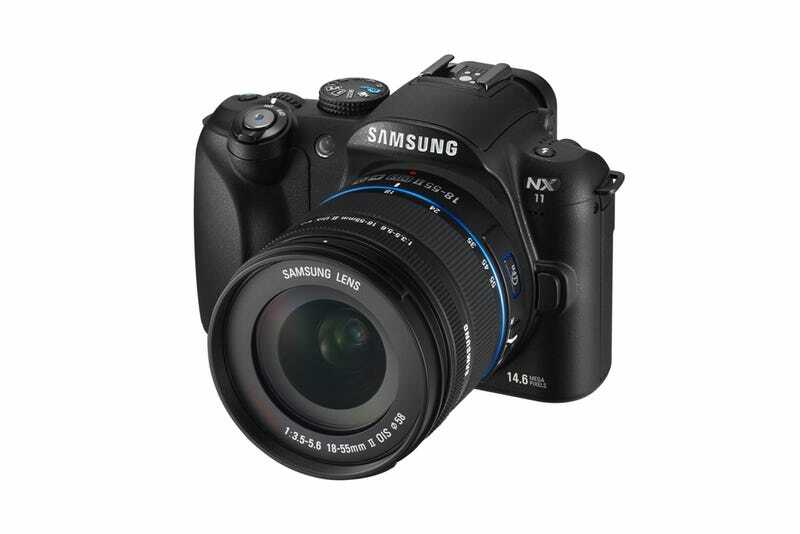 Samsung's got some minor camera updates ahead of CES—the WB700, a skinny point and shoot with a big lens that's a sequel to this camera, and the NX11, a successor to Samsung's Micro Four Thirds fighter, the mirrorless, lens-swappable NX10. The NX11 is just like Samsung's last camera—the specs are identical, with 14.6-megapixel sensor, 3-inch AMOLED display and 720p video—but moves all of image control buttons directly to the lens, which Samsung thinks is more logical. It's $650.